A love of the sea abounds in idyllic Bamfield, British Columbia. 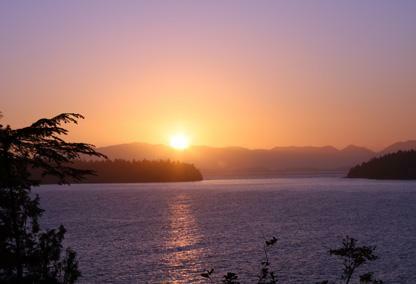 The Village of Bamfield is only a short boat ride away from both the Deer Group Islands and the world-famous Broken Group Islands (part of the Pacific Rim National Park). Bamfield offers sport fishing, kayaking, whale watching, scuba diving, camping, and hiking that are second to none anywhere in the world. If you’re interested in waterfront or recreational real estate, you simply must explore Bamfield. Bamfield's newest subdivision. Waterfront lots with safe moorage. Bamfield's newest division.Waterfront lots with safe moorage. Bamfield's newest subdivision.Waterfront lots with safe moorage. Bamfield's newest waterfront development with safe moorage. Bamfields newest waterfront development with safe moorage. Perfect waterfront lot to build your dream home.With safe moorage and close to the best fishing,diving,kyaking,diving and hiking Vancouver Island has to offer. Fabulous waterfront lot available with safe moorage in Bamfield's newest subdivision ,located in one of the best outdoor recreational locations on Vancouver Island. Great waterfront lot with safe moorage.